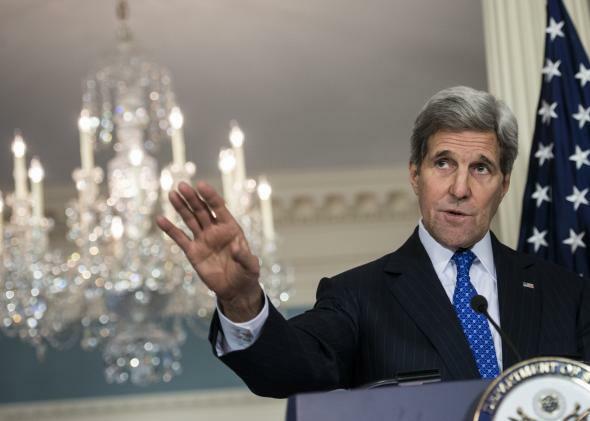 Yemen lawsuit: John Kerry and Ashton Carter sued over lack of evacuation efforts in Yemen. According to the plantiff’s attorneys, the State Department has been unresponsive to the pleas of U.S. citizens trapped in Yemen. Filed by a coalition of attorneys from the Council on American-Islamic Relations (CAIR) and the American-Arab Anti-Discrimination Committee (ADC) in collaboration with the Asian Americans Advancing Justice-Asian Law Caucus (ALC), the lawsuit calls for the government to facilitate an evacuation of American citizens currently stranded in Yemen. The plaintiffs in the lawsuit are 41 American citizens or permanent residents currently stuck in the war-torn country, many of them with their families. The plaintiffs’ stories have been documented by StuckInYemen.com, a website dedicated to providing resources to trapped Yemeni-Americans. At least 450 people with affiliations to the U.S., some as young as a few weeks old, are recorded by the site as being stranded in the Arab country. In a press conference on Thursday, the legal and policy director of the ADC, Abed Ayoub, said the civil rights groups felt stonewalled by the State Department and that filing the lawsuit was their only recourse. The intention behind the lawsuit, according to CAIR, is to “challenge the constitutionality of the United States government’s action and/or failure to act to protect the United States citizens in Yemen,” many of them facing the risk of assault, kidnapping, and even death while awaiting exit or attempting to escape from Yemen. In February, the United States suspended all embassy operations in the country and evacuated all embassy staff, U.S. Marines, and military officers from Yemen. Houthi rebels immediately seized more than 25 vehicles from the vacant embassies, according to USA Today. The State Department posted a travel warning stating that they had no plans to evacuate U.S. citizens from Yemen. State Department spokeswoman Marie Harf stated in an April 3 briefing that “sending in military assets even for an evacuation could put U.S. citizen lives at greater risk” and that she had not heard of the department asking other countries for help. According to the lawsuit, more than eight different countries have evacuated people. India has reportedly evacuated 1,800 of its citizens by air and sea, Chinese military has evacuated “225 nationals from 10 countries including Pakistan, Ethiopia, Singapore, Italy, Germany, Poland, Ireland, Britain, Canada and Yemen,” and Turkey has evacuated 230 people from Sanaa including 45 non-Turkish citizens. In the last few days, only one U.S. citizen has reportedly been able to successfully escape Yemen. San Francisco resident Mokhtar Alkhanshali reached the U.S. this week without any assistance from the American government, though. Alkhanshali, 26, fled from Sanaa to Aden then rode on a boat with a fisherman across the Red Sea into Africa, ultimately traveling to Amsterdam before taking a flight back to California. The last time the United States evacuated American citizens en masse from a foreign crisis was during the 2011 Egyptian revolution. When the government response to the protests against former President Hosni Mubarak turned deadly, the State Department evacuated more than 1,900 U.S. citizens. Prior to 2011, the State Department had conducted more than 80 such evacuations. The decision not to support evacuations of Americans from Yemen has left many American-Yemenis feeling abandoned. For some, the U.S. government’s hesitation—while other nations with fewer resources have evacuated their own citizens—has raised troubling questions. Correction, April 10, 2:10 p.m.: This post originally misstated that the American citizen killed in Yemen was killed by Saudi bombing. He was killed in a mortar attack (which was not carried out by Saudi forces).